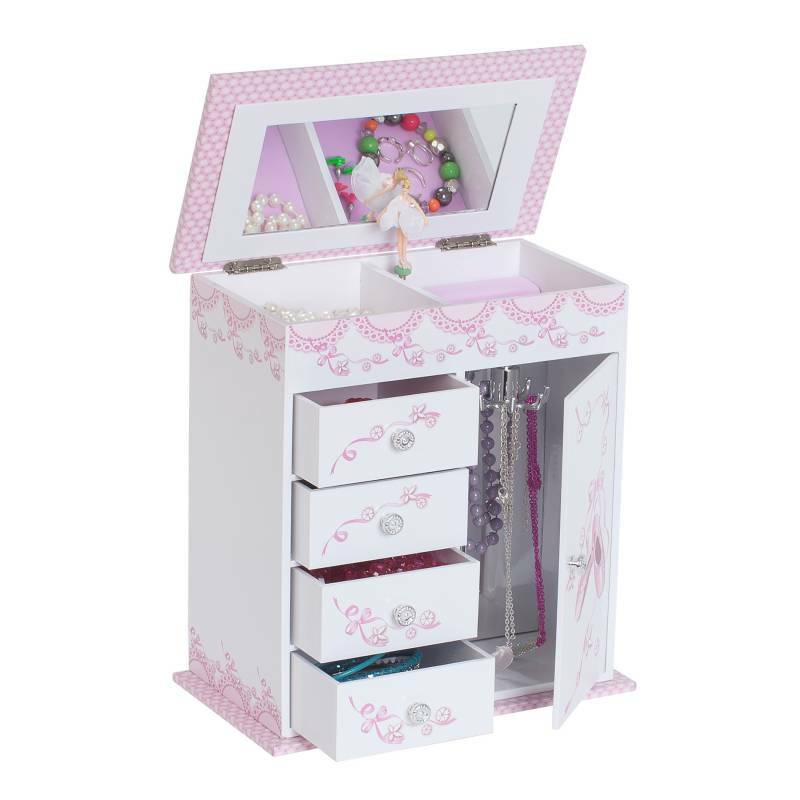 Playing to the melody of "Waltz of the Flowers" the Mele & Co. Angel girl's musical ballerina jewelry box offers timeless appeal and sweet sentiment. 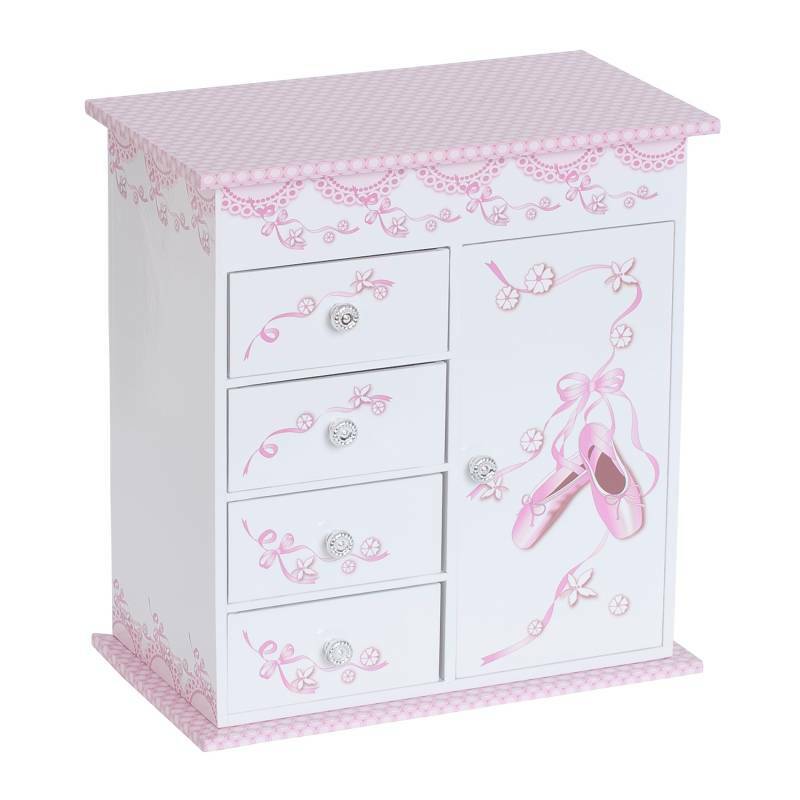 With ballet slipper and ribbon design, two drawers, and a twirling ballerina, this jewelry chest will earn accolades from your own tiny dancer. 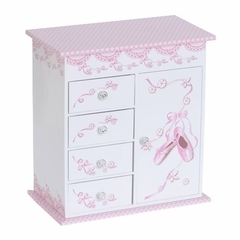 Product Dimenstions 7" x 5" x 6 3/8"